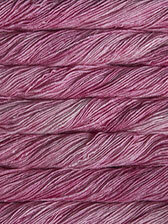 Kettle dyed soft merino blended with lashings of silk, for a beautiful sheen finish with wonderful drape. The combination is soft, smooth and itch-free even on the most sensitive skin, perfect for garments, scarves and other next-to-your-skin items. 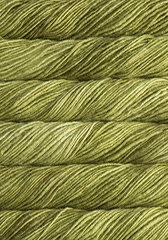 The silk-rich composition of this yarn gives it a bit more weight and drape than pure merino, with a sheen finish comparable to that of pure silk. 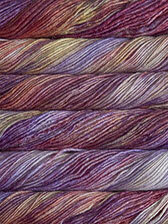 Each fibre takes up the dye differently, adding extra depth to this stunningly rich, vibrant, glossy yarn. 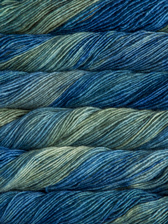 Q: "How does Silky Merino compare to other yarns of similar composition?" 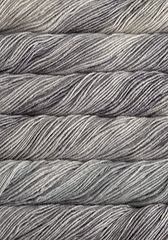 A: Whilst the shade combinations are comparable to other wool/silk blend yarns you'll find on the market, Silky Merino is much softer and more lustrous than comparable yarns. 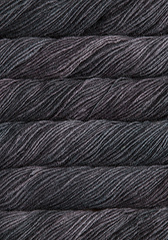 Hold Silky Merino in your hands, see how it catches the light, and you won't ever want to put it down! 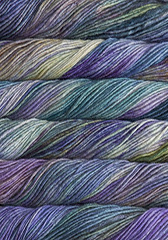 * Colour variations are a unique feature of this yarn's hand kettle-dying process. 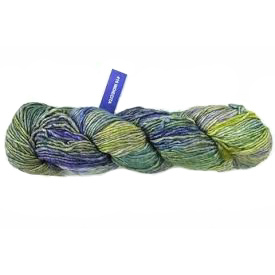 Make sure you have enough yarn to complete your project, since each bag is a different dyelot, and in the case of multi-shades such as Indiecita and Piedras, may vary from skein to skein. 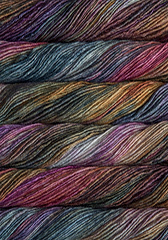 To ensure random colour distribution, work from 2 balls of yarn at once, alternating a few rows from each ball. 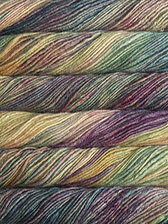 Pictured below: neckwarmers in Silky Merino Shades Party Pink and Arco Iris. This product was added to our range on 25th May, 2018. New shades last added 12th February, 2019.